Dr. Jenny Gifford has been trained to carry out facial aesthetic treatments by Professor Bob Khanna at his world renowned training institute in Berkshire. His training format , style and methods used are now a benchmark for other worldwide courses and for indemnity providers. Full indemnity for these procedures is held with Hamilton Fraser who are experts in this field. As a dentist, Jenny has an extensive knowledge of facial anatomy and many years experience in delivering painless injections since graduating in 1996. She has an interest in cosmetic dentistry and has expanded these skills to include facial aesthetics. We are ideally situated to provide this service within North Devon, ensuring the highest cross infection standards, emergency protocols and registration with CQC and a BDA gold member practice. Jenny is a gold member of the International Advanced Association of Facial Aesthetics (IAAFA) and is also a member of the Aesthetic Complications Expert Group (ACE). 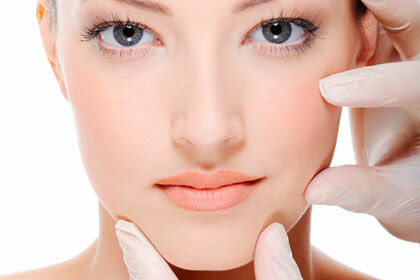 Wrinkle Reduction treatment is a non-surgical cosmetic treatment for moderate to severe lines and wrinkles. It works by blocking the transmission of nerve impulses to the facial muscles that have been injected. This makes the muscles less active and therefore softens and smoothes the appearance of persistent lines and wrinkles.Wrinkle Relaxing injections are becoming increasingly popular. It has been proven to be a safe and effective treatment for wrinkles as has been used cosmetically for over 10 years and for certain medical procedures for more than 20 years in the UK. The substance that we use to smooth wrinkles is Botulinum Toxin and product we prefer to use is Azzalure®. Common areas that can be treated include frown lines, worry lines on the forehead and crows feet. We can also Azzalure® to "open your eyes" and provide an eyebrow lift to give a more youthful appearance. The results of treatment take up to 3 weeks and the effects last for an average of up to 4 months depending on the patient. If you decide to stop treatment, any permanent lines and wrinkles will return. Dermal fillers are a naturally occurring substance (hyaluronic acid) which is injected into the skin to plump it up, make it firmer and smooth out lines and wrinkles. It boosts the skin's hydration system and replenishes the skin to restore youthful volume and delay the signs of ageing. 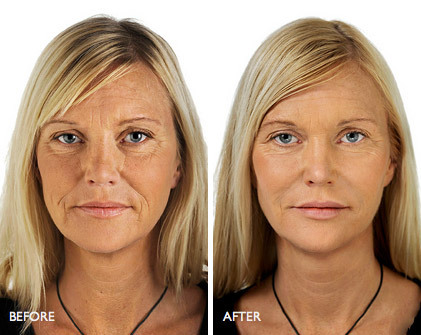 Dermal fillers can be used to fill out lines and wrinkles around your mouth, nose and forehead. It can also be used to enhance your cheeks and replace mid face volume loss. It can give chin and jaw definitionand be used to smooth bumps or change the shape of your nose (non surgical rhinoplasty). It can give your mouth a fuller and better shape by enhancing your lips to produce better definition, enhanced volume, and reduction in lines around the mouth.The produce that we use is Restylane, which is a modern filler promoting a natural and youthful appearance. It contains a local anaesthetic to reduce any discomfort during the procedure but is preceded with a topical anaesthetic cream so the injections are relatively pain free. The results of treatment can be seen instantly and the effects will last between 9-12 months depending on the individual patient. Hyperhidrosis (excessive sweating) can be a totally debilitating and embarrassing condition for those who suffer with it or for anyone who sweats excessively and profusely from their armpits, feet or hands. Hyperhydrosis can be treated very successfully with Botulinum Toxin. It works by stopping the nerves to the sweat glands from working and therefore there is a reduction in perspiration. Topical anaesthetic cream is used and people find this treatment relatively pain free considering the enormous benefit achieved. The onset of effect is from about 3 days as patients will notice they can use a lighter anti-perspirant or not need an anti-perspirant at all. It can be a life changing experience for a true sufferer and avoid unnecessary embarrassment on a daily basis. The benefit of treatment will last between 6 months and a year depending on the individual.